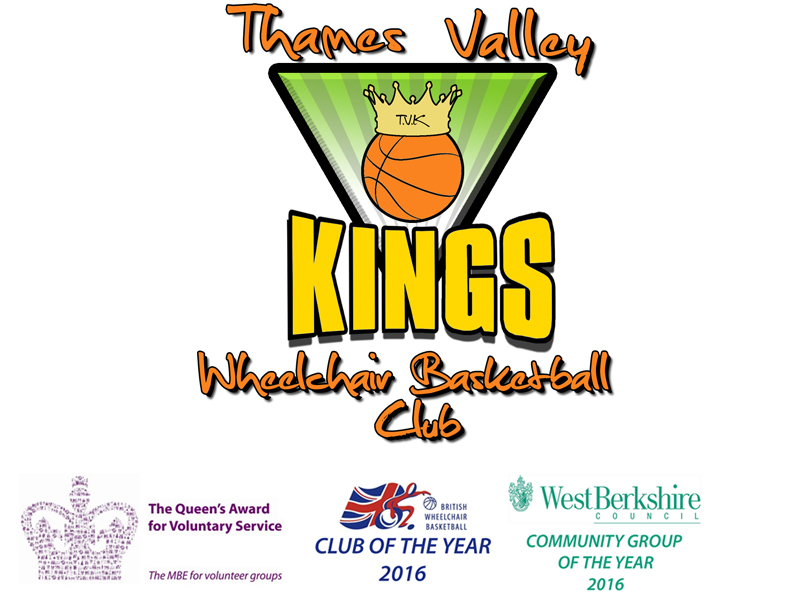 Established in 2004 and headquartered in Thatcham, Berkshire, The Thames Valley Kings Wheelchair Basketball Club has endeavoured to build relationships within the county of Berkshire to enable us to provide a high quality basketball programme that is accessible to players of all ages and abilities. The Thames Valley Kings has always attempted to be more than just a team - we strive to support, inspire and become a social hub for everyone - believing that by actively encouraging both disabled and able bodied players, we can create a fun and engaging atmosphere. When the club first started it was mainly adults that attended the regular training sessions, but over time the club evolved to include junior level players and due to this, for a large portion of the club's history it was focused on being a junior league level club however, In 2013, The first adult development league team entered the British Wheelchair basketball league, and in 2015, They entered the league full time joining the 2015 British Wheelchair Basketball Season in Division 3 South and West. The King believes in the benefits that Wheelchair Basketball can provide to participates - including improved co-ordination, confidence, increasing fitness levels, team building, social skills such as enthusiasm and energy towards others, also those relevant to playing a fun high-octane . The Club welcomes volunteers to help at the any of the sessions, many of whom are completing their Duke of Edinburgh awards. Jacqueline is the founder and head coach of the Thames Valley Kings who At the age of 19, founded the Thames Valley Kings in 2004. Originally, the idea came from a fun day which was held - which highlighted a need for a wheelchair basketball club in Berkshire. The original purpose for the team came as Jacqueline was completing her Queens Guide Award and had a community clause for which she thought that setting up a wheelchair basketball team would benefit her local community. Jacqueline took it upon herself to train as a coach for wheelchair basketball, she self funded herself for the course, which was held at Stoke Mandeville stadium in August 2004. Since then The Thames Valley Kings, under Jacqueline's leadership has organised and run training session at the local leisure centre in Thatcham, As head coach Jacqueline organises the players, volunteers and content of the sessions, as well as for the transporting of the sports wheelchairs from where they are stored (although the chairs used to be stored at her house for the first 5 years of the club's excistance). For the Club, Jacqueline has almost singled handily organised the fundraising of nearly £40,000 to buy, 15 special adaptive sports wheelchairs, the basketballs themselves, and also 2 training hoop so that younger members of the team can join in with shooting practise. Jacqueline is keen to help other people to achieve person targets and to gain awards in recognition of the volunteering work they complete with the club. 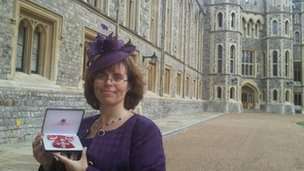 Jacqueline was appointed an MBE for voluntary services to the Thames Valley Kings Wheelchair Basketball Club in Queen's birthday honour's list in 2011.